As I look back upon my older work, I see that I tend to paint scenes that are more turbulent then serene. I love to see movement, in clouds, or in trees or grass. Movement is quick, which is how I prefer to draw. There has to be something that stirs me as well, something a bit different or maybe even unbalanced – or a ‘found’ short moment, or even a dark shadowy moment. I still find that I need to be ‘invited’ by a mood in order to want to paint it. 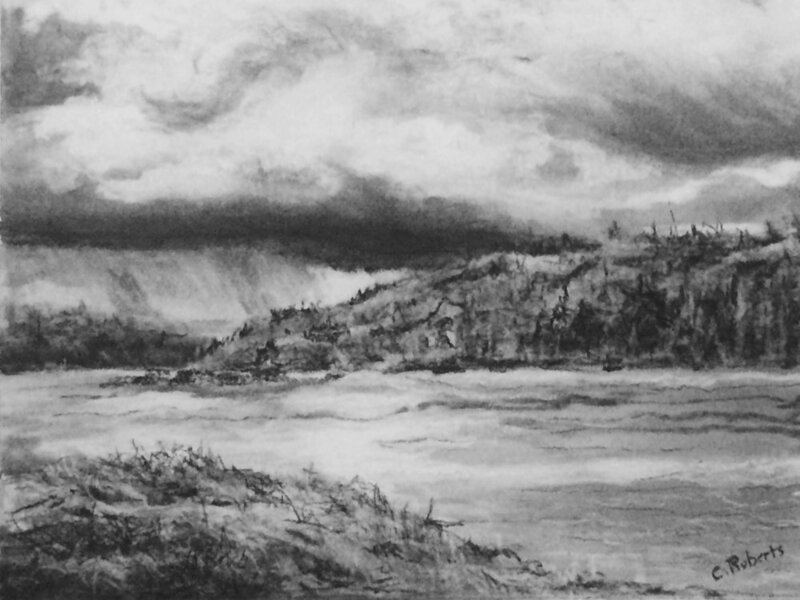 I was born and raised in the farming community of Venice, Alberta. Living on a farm made me appreciate and love the wide openness of the outdoors. Nowadays I have to travel into the country to find images that say ‘paint me!’. While I have tinkered with different mediums, I still find that I simply love to draw. 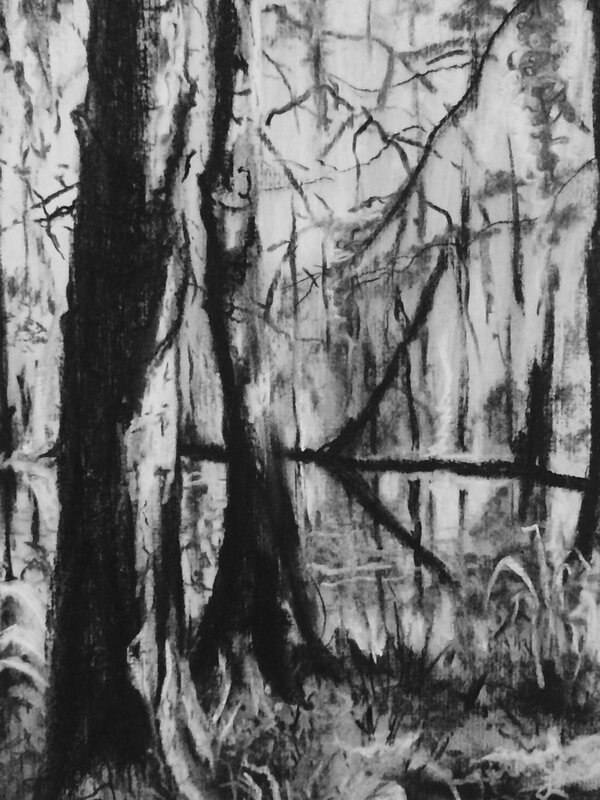 The lines and curves of nature are easiest for me to portray with drawing mediums, such as charcoal, pencil or pastel. It is an instant way to create a picture. I have lived in Spruce Grove with my husband and three children for 29 years. My first introduction into art as an adult was at The Little Church Gallery, where I took my first drawing classes. The last several years have been a bit of a hiatus for me in the world of art, but I am now enjoying drawing again. 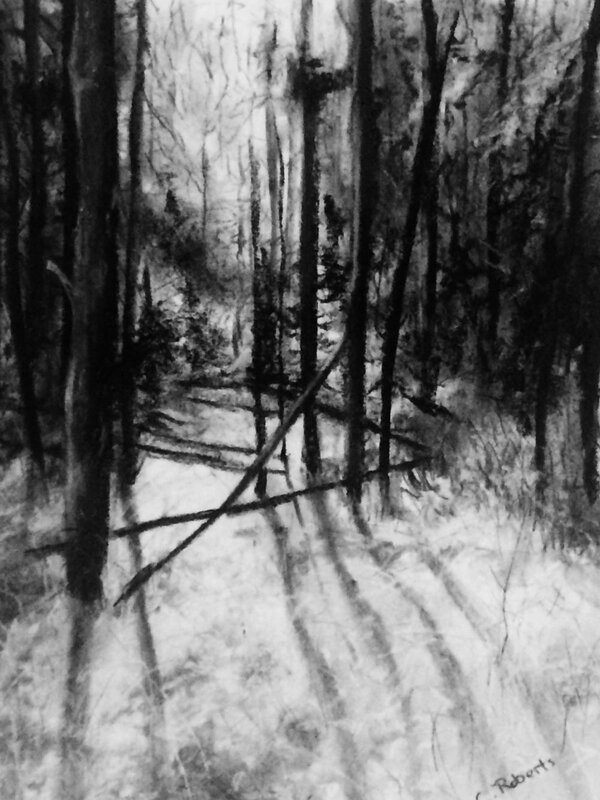 I have started with charcoal again, in order to practice drawing techniques – to ‘re-teach’ myself I guess you could say. I was very involved with the Allied Arts Council for several years, with volunteer jobs including Vice President, Workshops Coordinator, Secretary, Grants Coordinator, President and Past President. 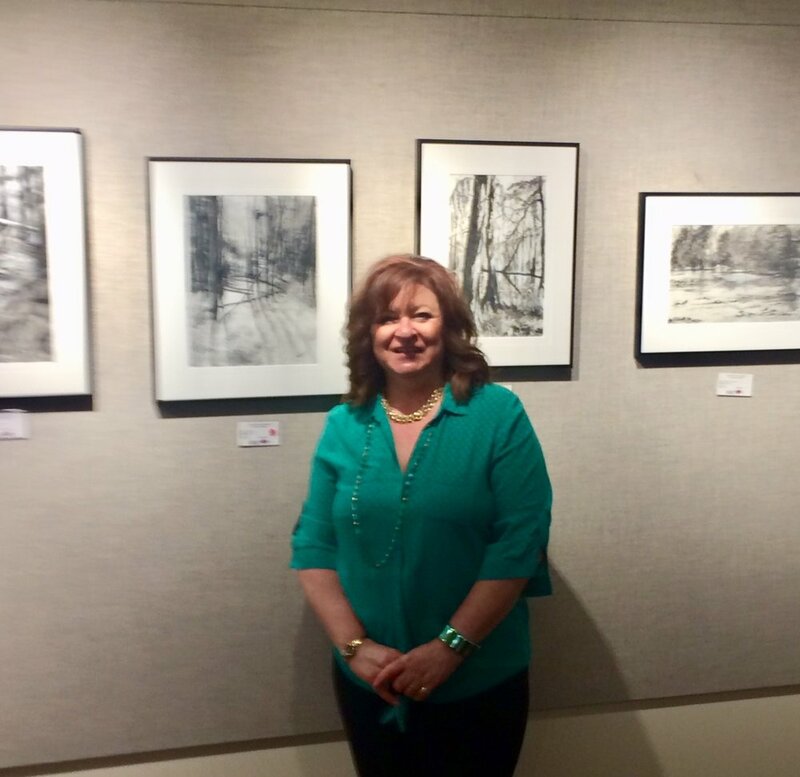 2018- ‘A Charcoal Perspective’ Show held from Jan. 22 – Feb. 9. Sold 5 drawings. 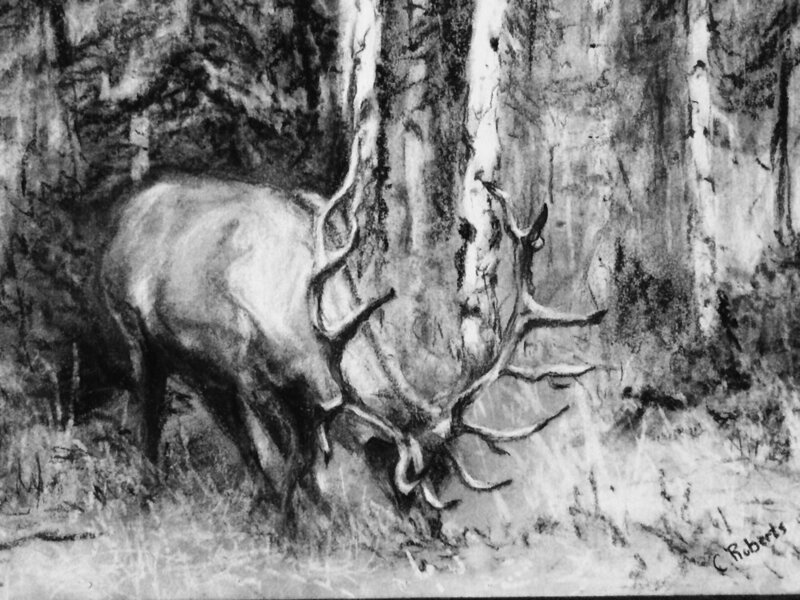 2007- Three Week Solo Pastel Show ‘A Country Side of Alberta’ at the Spruce Grove Art Gallery. Sold 2 paintings. 2006-2012- Participated in regular gallery hangings with the Allied Arts Council. 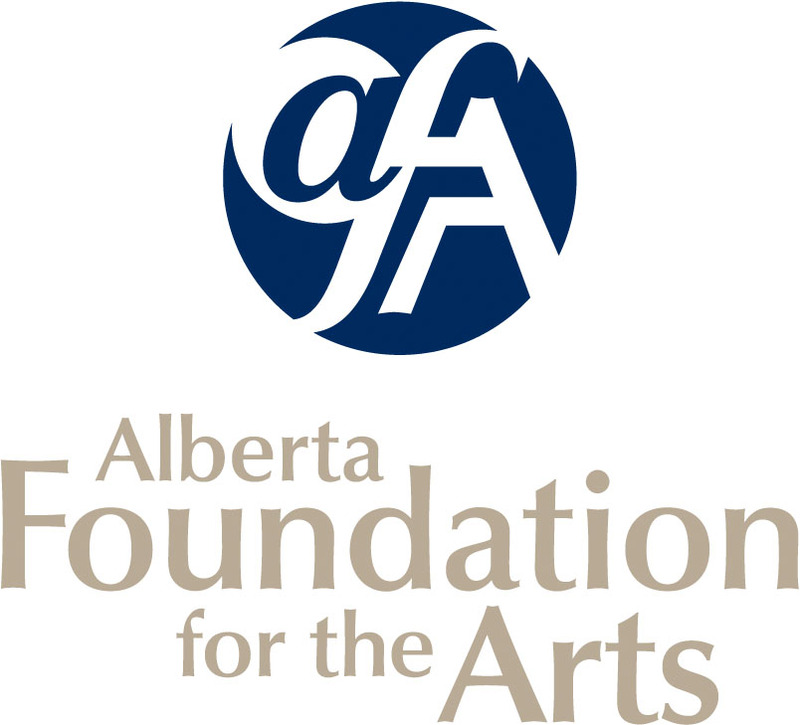 The venues included: The Spruce Grove Art Gallery, Melcor Cultural Center Program Room, Westgrove Clinic, FCSS offices, Decadent Dessert Gala Fundraiser Events.